My latest entry in Anime Today at Beneath the Tangles. This week I focused on Anime’s portrayal of the Church (particularly the Catholic Church). “Anime” and “Corrupt Church” are two terms that, sad as it is, seem to fit hand-in-hand all too well. Nearly anyone who has seen any substantial amount of the medium can list off at least a handful of examples in which a corrupt church is written to be a primary antagonist (without referencing any outside sources I immediately thought of Spice and Wolf and A Certain Magical Index). Indeed, this has been a point of contention for Christians looking to get into anime for decades, ever since it gained popularity here in the West. However, I often wonder… has anyone really stopped to consider this “demonization” of organized, Christian-based religion? Easter it the most holy day for Christians – one that’s more meaningful than even Christmas, even if it’s eclipsed by that holiday. As such, it’s a good opportunity for Christians to reflect on Christ and even for non-Christians to explore the holidays. My latest entry in Anime Today. Wow, has the Spring 2014 anime season started off with a bang. I have already picked up 10 new shows that I plan to watch through to completion, in addition to the two I was already watching from last season (Nisekoi and Tonari no Seki-kun), and I have not been disappointed. While a number of what I have picked up so far will most likely be duds, the greatly hyped Mushi-shi sequel and Mekakucity Actors have both so far lived up to my expectations, and brand new ones like The Kawai Complex Guide to Manors and Hostel Behavior and One Week Friends have thus far been quite promising. TWWK : Yesterday, Goldy and Japes started their review of Winter 2014’s anime . Today, our reviewing pair join together to judge shows that they both watched this past season. In the past, I’ve praised Kyoto Animation for creating love stories without going all out shoujo drama, and while they did an excellent job with season one of Chuuni, I had my worries about the second season. Where could they possibly go with this? Thankfully, my fears were unfounded and the second season delivered a brilliant performance, including all the familiar characters facing their weaknesses and even including some new ones. I like to see characters grow in stories, moving forward despite knowing their faults. One of the Beneath the Tangles writers, Goldy, and I wrote a review of the Winter 2014 Anime Season a couple weeks ago. I just realized I hadn’t reblogged them here, so here is part one followed closely by part two! TWWK: Winter is typically a slow season for anime, and it looked like more of the same going into this past season. But how did winter 2014 really pan out? Between our resident anime addicts, Japes and Goldy, almost every anime of note was covered, and over the next two days, they’ll let you know their views on high points and low this just-completed season. Today, Japes and Goldy review series that only one or the other watched, and tomorrow, they join together to review shows that they both viewed. 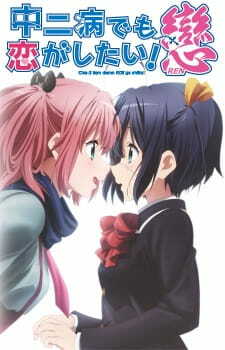 My latest Anime Today, which was posted last Wednesday. This time around I focused on how a recent anime interacted with my recent trip to Japan! As it stands right now, anime is currently in its transition phase from the winter 2014 season to the spring 2014 season, and this in-between phase makes it difficult to analyze much of what is currently happening aside from overall series or season reviews. However, just recently I decided to pick up yet another current anime, bringing my winter 2014 anime count up to 16. And that series is Wake Up, Girls!.